Benson, Samuel , Photograph of Samuel Benson, Joseph Benson's youngest son born 1799 , University of Tasmania Library Special and Rare Materials Collection, Australia. 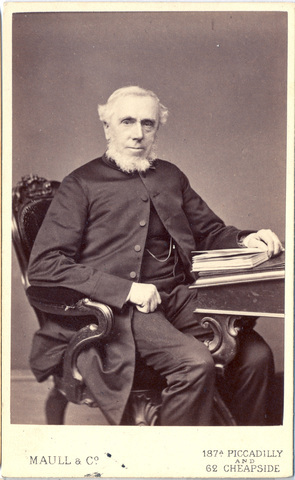 Photograph of Samuel Benson, Joseph Benson's youngest son born in 1799. 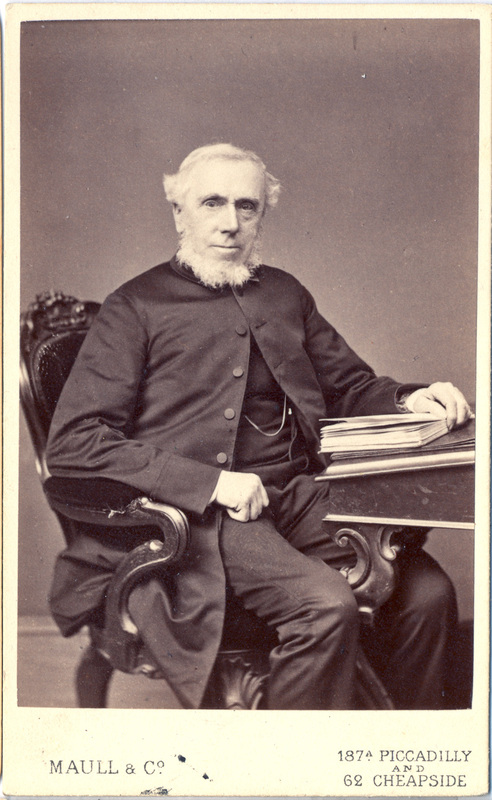 He was Sarah Benson Walker's brother. 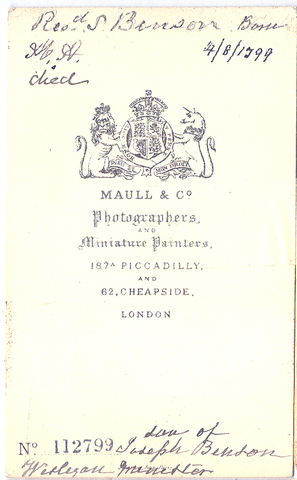 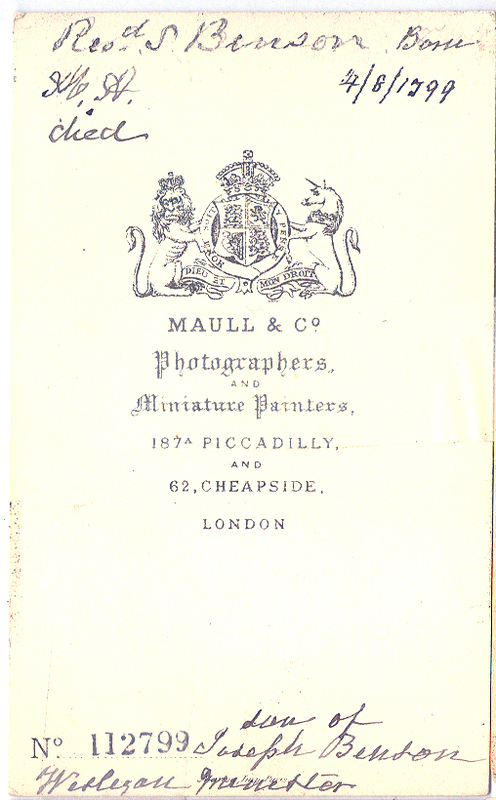 The photographers were Maull & Co., London.